Branding has always been one of the trickiest aspects of marketing. We can all identify a logo. It’s easy to repeat a tagline. Some of us can even remember a few features and benefits if pressed. But a brand…how do you define that? Well, it takes a little work. But if you do it right, your marketing, your sales, your residence experience—pretty much everything you rely on to drive census within your community—will all function more seamlessly. Before you start, though, it’s important to understand what your brand is NOT. It’s not your name. It’s not your logo. It’s not your tagline. Rather, it’s the perception a customer associates with your name, logo and tagline. It’s the relationship a customer has with your community. It’s both the idea your community conveys and the experience it creates. So pretty much everything you do—from your marketing to your public relations to how you serve your residents day in and day out—has a direct impact on defining your brand. With so many external variables at work, defining the brand elements within your control becomes even more critical—especially in today’s “savvy senior” marketing landscape. According to a recent AARP Brand Loyalty Survey, the era of older adults sticking with what they know and like is passing. Today, seniors are much more receptive to new ideas and open to switching brands if their needs can be better met. Your brand must be strong enough not only to break through the clutter of advertisements consumers see daily, but also to be recalled—and not just recalled, but recalled favorably enough that it provokes engagement and persuades behavior. Tall order, but great brands prove every day that it can be done. There’s no reason yours can’t join them. Here are three simple things to remember when leveraging your community’s strengths to build your brand story. What do you want your brand represent? Care? Compassion? Experience? A Mission? If you can’t yet answer that question, you’ll need drill down into your features and benefits to locate key differentiators within your marketplace. There are plenty of new technologies and amenities used in senior living today, and if your community is utilizing them in exciting and innovative ways, it’s fine to make this type of differentiator a key focus. However, be careful not to hang your overall brand message on evolving trends that will change in the next few years or, worse, become irrelevant. Once your key differentiators become standard expectations, you’ll need to rethink any brand messaging that depends solely upon their uniqueness. Items like an exceptional dining experience, wellness and security systems and device-based communication, should support your brand message, not independently define it. Once you determine what your key differentiators are, you can zone into one that truly sets you apart. Incorporate that personality and brand focus into your community’s story and make sure it’s present in all communication materials. In an increasingly noisy market, it’s important to not over-stimulate your audience with too many messages. Review your key differentiators and start looking for a through-line that can simplify things down to the essence of what makes you different. 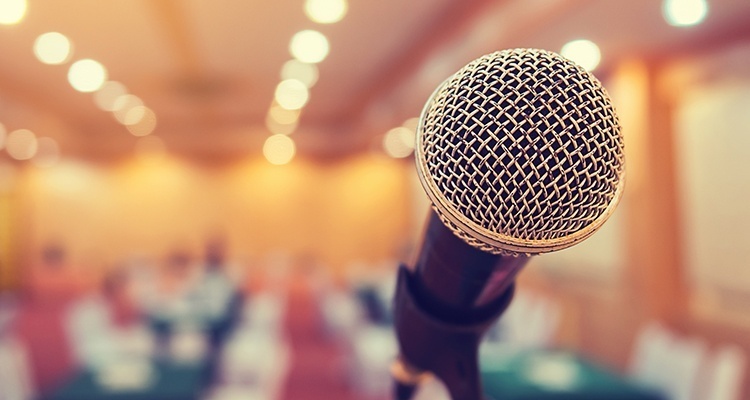 For your brand to resonate, you’ll need to create a single, strong message delivered in a memorable voice. Are you the premier choice for high-end living? Are you the leading senior care innovator within your area? It's essential you have buy-in on brand messaging from all stakeholders. Get feedback from leadership, staff, residents and even family members to help identify perceptions that truly set you apart. Compare the messaging you’re considering with what competitors are already using. If you’re treading on similar territory, you’ll need to work extra hard to voice the same ideas in a fresh way. Finally, focus that defining message in a strong positioning statement that is easy to grasp for all stakeholders. It should be clear and concise enough that everyone within your community can communicate it clearly and confidently whenever necessary. Making connections is the name of the game. Meet your target audience where they are and provide real value, not just service options. Today’s seniors aren’t just watching TV and checking the newspapers. They’re searching online, using social media and attending events and activities. By utilizing several avenues for connection, you better your odds of creating a lasting impression. Finally, provide value without even a whiff of a sales agenda, especially online. Ulterior motives are easier to spot than ever and your audience is smart. Connect with them over relevant topics and provide honest, applicable takeaways they can use—from downsizing advice and healthcare tips to senior trend blogs and more. Becoming a resource for individuals and families who are investigating the idea of senior living will start building trust in your brand even before your audience has entered the sales cycle. Once it’s time to make a decision, your identity and core message will be firmly embedded as the ideal within the minds of consumers. 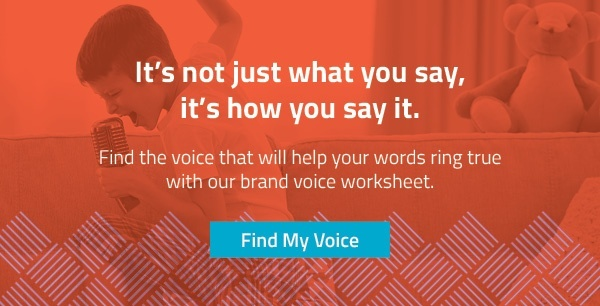 Essential as it is, starting the process of discovering your “brand voice” can feel overwhelming. Fortunately, we’ve created a handy, easy-to-follow worksheet to help you get the ball rolling. Download it now! Editor's Note: This blog post was originally posted in October of 2015 and has been updated with fresh content.